Wasps can be such a pain. And they can inflict a great amount of pain to you! Often occurring in warm to hot environments, wasps like to build their nests under areas with an overhang. This is a good idea to check places with an overhang around your house and see if you can lead yourself to spotting them before they spread. Having a growing wasp nest in your home or on the property of your business can really be a huge threat to your well-being. Wasps do not take to humans very kindly, and if they believe you to be a threat to their hive or wasp nest, they are coming to get ya! Small children, elderly people, your middle aged people, wasps don't care who you are, they will do what it takes to protect their nests and their species. Commonly, wasps will overtake the industrial businesses. We often get calls to businesses where there is a lot of wood around as wasps prefer a more natural environment where they can hide within the wood if possible. We will get calls for wasp control at a lot of commercial businesses where they often will get used to seeing us. There are some measures you can take when preventing wasps from developing a nest on your business, but it mostly takes a daily ritual of taking out any developing nest. You have to stay on your toes on your property if you have become susceptible to wasp nests. For the businesses that will see a developing wasp hive, and allow it to flourish without taking action, are usually having to call us for regular visits. We love helping our customers clear out their wasp problem, but if we think we can give them some solid advice and prevent it from happening again, that is the true value of sharing knowledge with your fellow many, your other internet users, and our other local businesses. For residential wasp exterminator visits, it usually the same case as above. Certain properties seem to be inviting for wasps with a lot of property, or a certain area of property that isn't frequented enough to catch a developing wasp nest before it is too late. If a wasp attack a guest, or forbid, a child, your reputation as a host will undoubtedly suffer. You may even find them in your swimming pool. This also may be a sign that you need to work on getting a Walnut Creek pool cleaner to your home too. We have serviced many emergency pest extermination, and wasp exterminator has definitely been on the list a few times every month. Now, they may look like a bee, but don't let that fool you. If you aggravate them, or intrude on their nests, they're coming after you. Once they get within range with their quickness in flight, they'll sting the bujezus out of you. Unlike bees, when a wasp stings you, it's keeping the stinger, and it'' come right back for you. Once this happens, its seems to be more of a nuisance now, amiright? If you're a business owner, these suckers can be a real threat to how people view your business. Don't let the wasps bring in the bad review =( Let us help bring in the great reviews and keep your business establishment pest free. During the warm months of the year, wasps are frequently out of their nests just simply causing havoc. Wasps will come after anyone to sting if you get too close. Customers, workers, friends, and family members beware. Wasps do not care about you or your background, if you bother them they are going to hurt you. 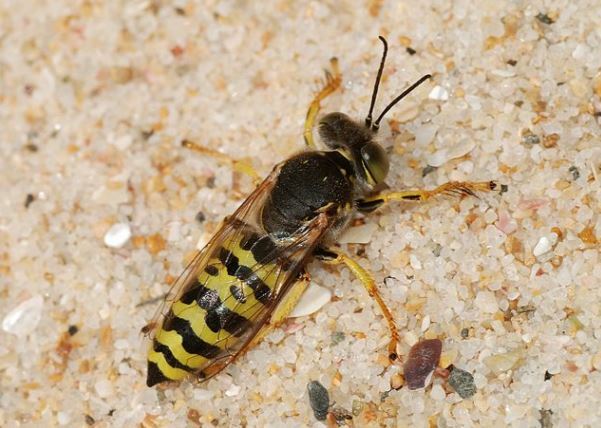 People come across all the different kinds of wasps that bother all types of people because of how defensive they are over protecting their nest and the rest of the hive. 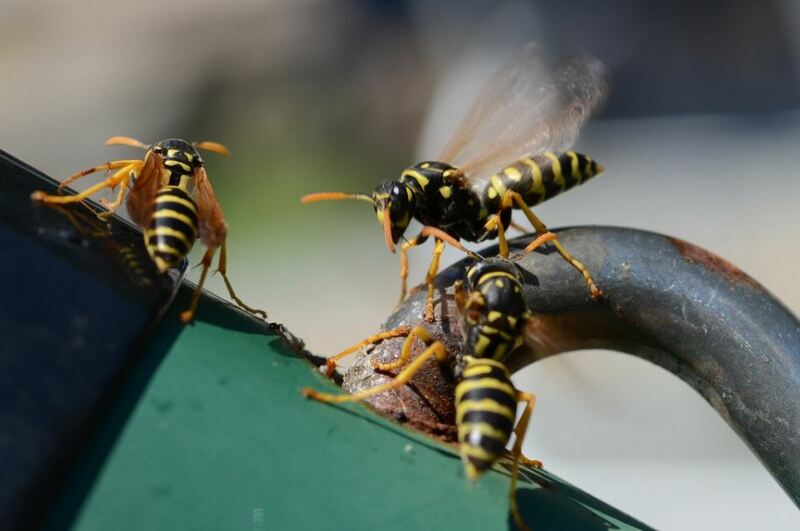 Wasp related calls from customers will be because a customer is worried about yellow jackets, paper wasps, red wasps, mud wasps, black wasps, brown wasps, hornets, and for killing, exterminations, spraying, and removing.